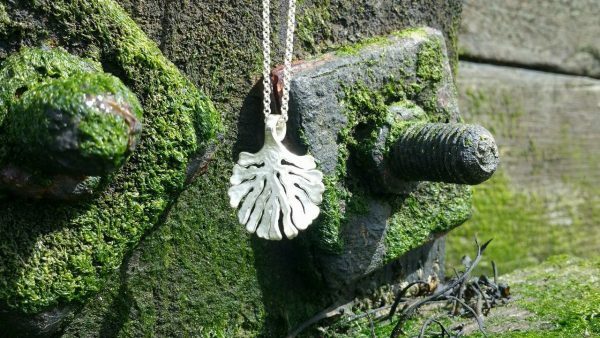 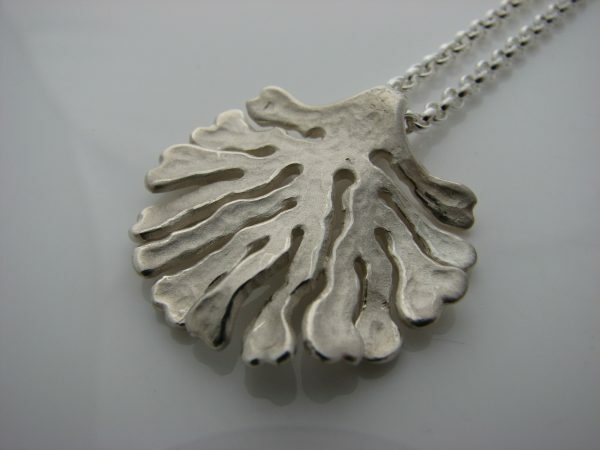 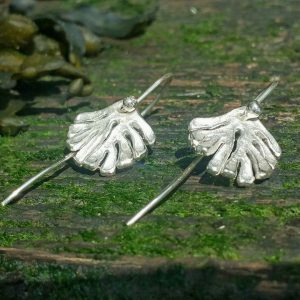 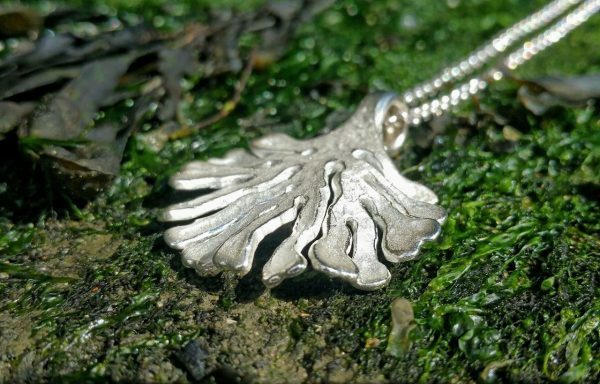 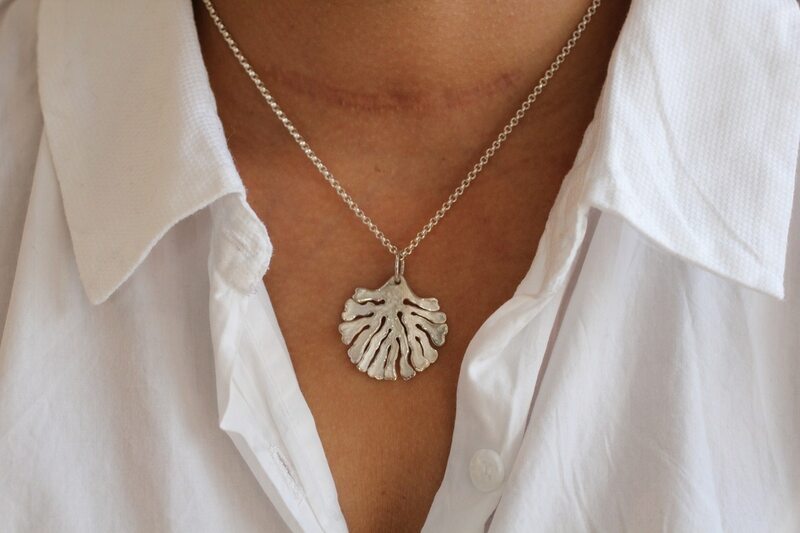 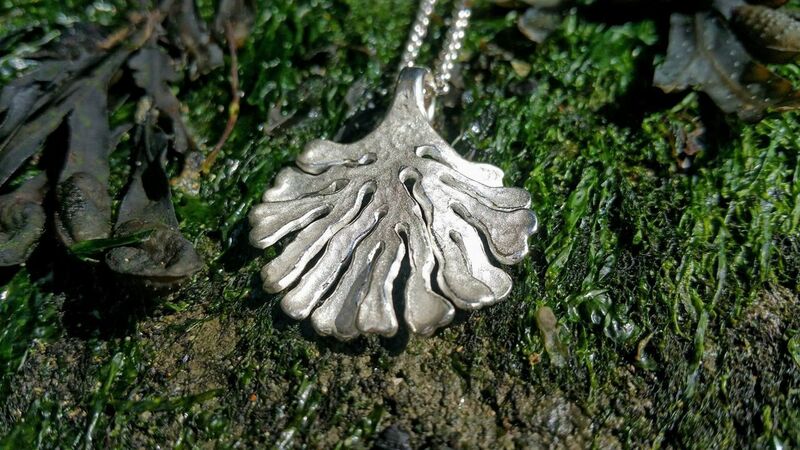 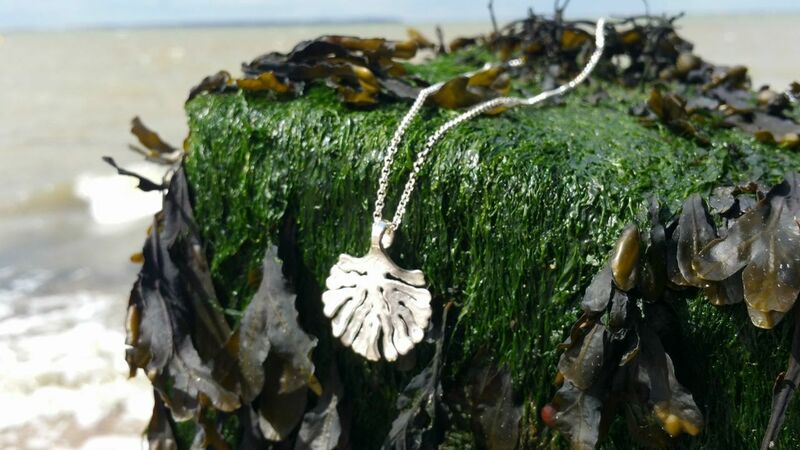 The largest piece in the brilliant Kelp range, this stunning solid silver pendant has a satin finish on a textured surface, the edges are then painfully hand-burnished to a high lustre and bathed in the jeweller’s tears. Walking along the beach to work, The Mischievous Silversmith picked up a piece of desiccated seaweed and was inspired to create this homage to Neptune, Roman god of the sea – by coincidence, he found the dried kelp near Whitstable’s renowned Old Neptune (‘The Neppy’) public house. 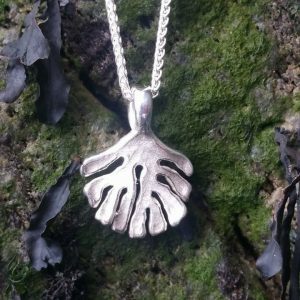 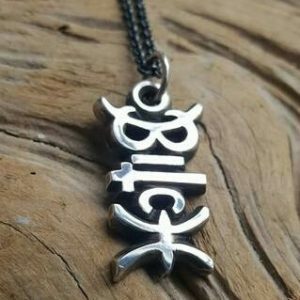 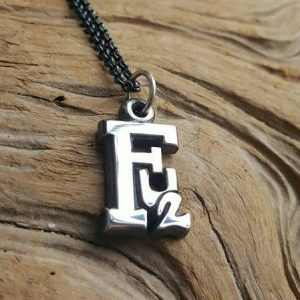 Comes with a 16″ or 18″ silver chain (it won’t be oxidised, but the idiot loading things to the website doesn’t know how to remove ‘oxidised’ from the option button yet).